From far away, Brent Wadden is a painter. 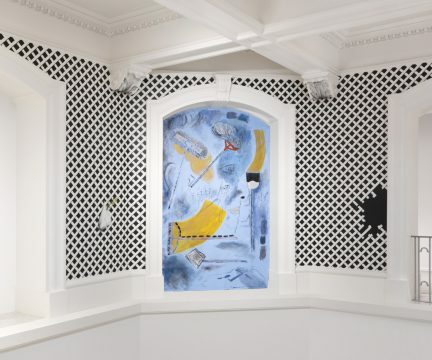 His work, made of intersecting panels in stark greys, blacks, and whites, interrupted with patches of colour, appears to be reminiscent of hard-edge painters like Karl Benjamin and Frank Stella. Upon closer inspection, though, Wadden’s work begins to blur, the fuzzy lines rising above the edge of the frame, and the illusion starts to unravel. 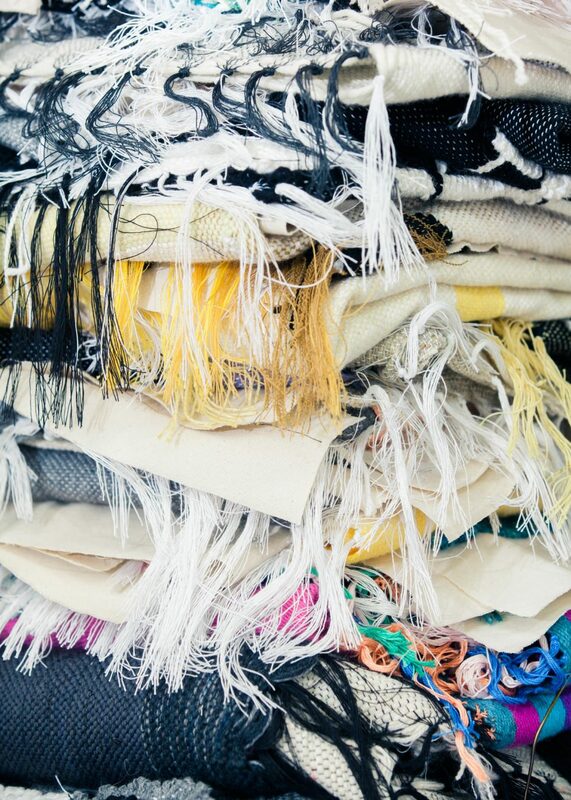 Face-to-face with the piece it reveals itself, not as a canvas swathed in acrylic or oil, but as a stretched textile, the square patches of weaving roughly sewn together. This confusion is not by chance. Wadden’s meticulous constructions revel in the moments of incertitude, teasing uneasy conclusions. 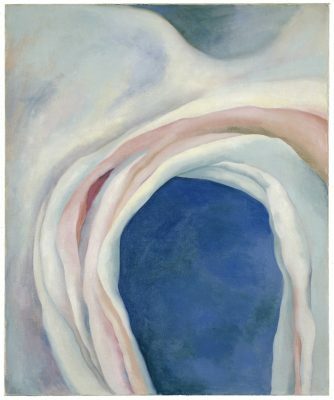 His interest in the graphic intersections, the tensions between shape, form, and colour, are especially painterly traits. There is an uneasy acceptance in calling Wadden a weaver, compounded by the fact the works are often referred to as paintings, but it’s that very disconnect that is so compelling. 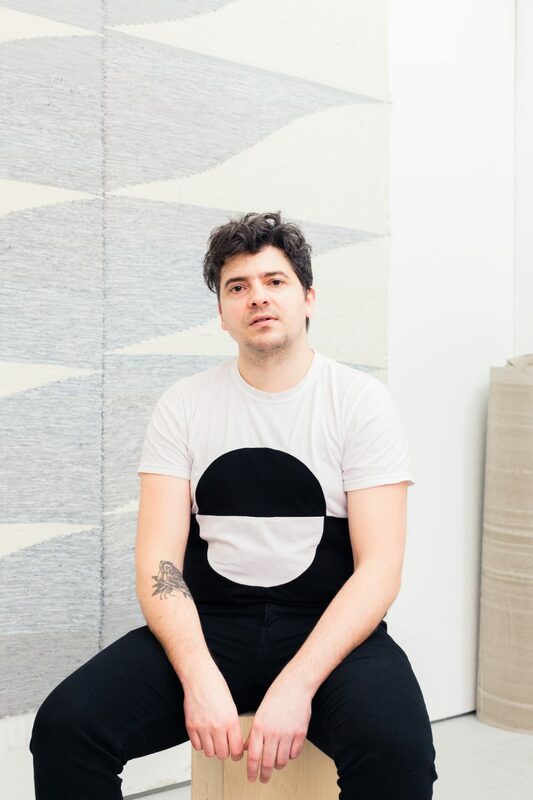 There is an uneasy acceptance in calling Wadden a weaver, compounded by the fact the works are often referred to as paintings, but it’s that very disconnect that is so compelling. 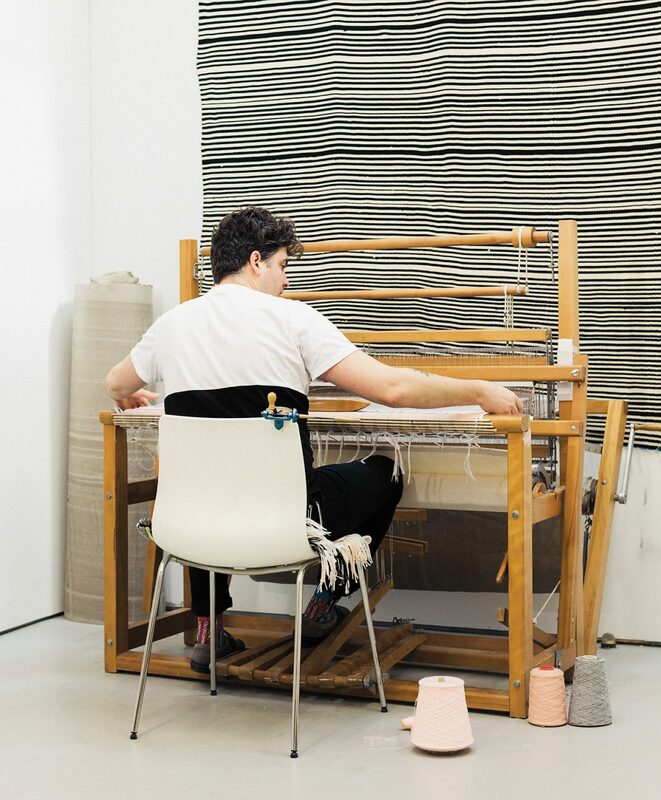 Following his inspiration, Wadden borrowed a loom from then Berlin-based action weaver Travis Joseph Meinolf. “I was living in Berlin at the time, so I reached out to him to learn how to weave, but I had a very small project in mind,” he recalls. Wadden’s interest was sparked by an unexpected link between the age-old practice and a high-tech habit. 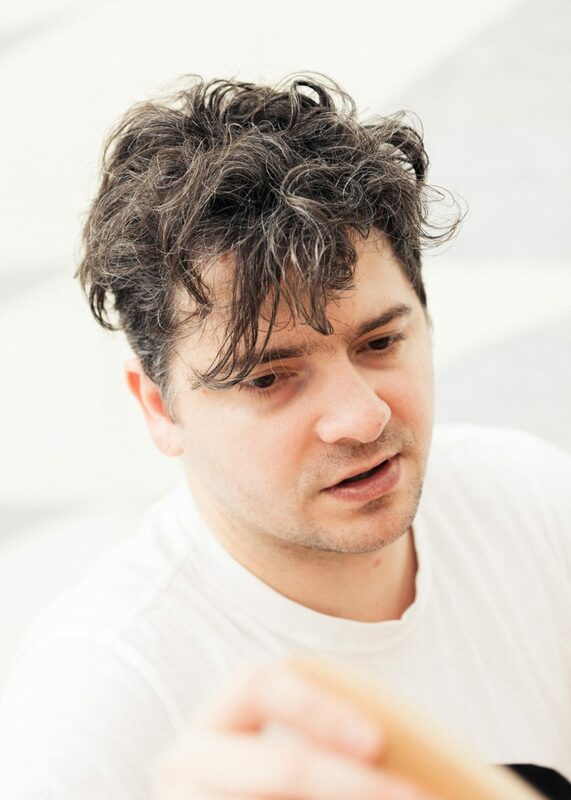 He had been downloading a lot of torrent files (shared, online media files, often pirated), and saw a connection between the torrent community and the oral traditions of weaving. The method has historically been a verbal linage of knowledge, passed through the generations: a history Wadden became a part of in his lessons from Meinolf. Since then, however, Wadden’s work has taken a more insular approach, riffing off of his past pieces to create circular re-assessments of his combinations of panels, geometrics, and colour. 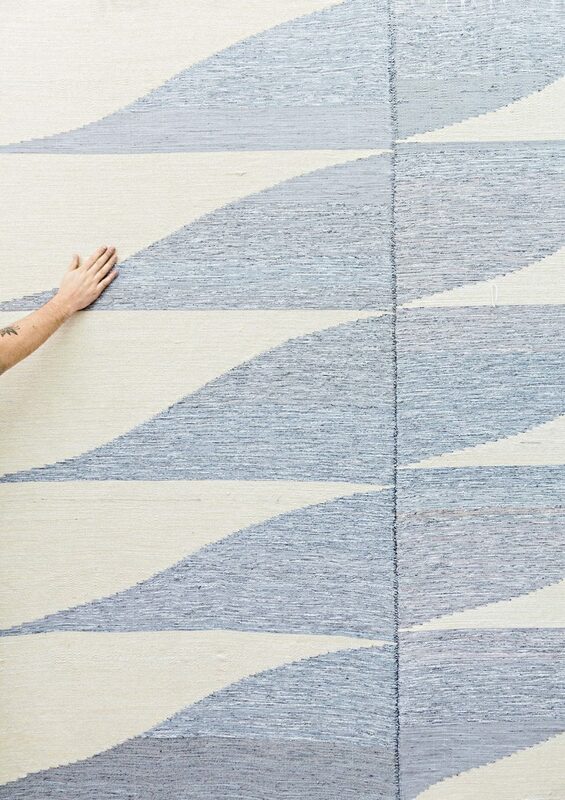 Their position as stretched textiles—using the same technique used to stretch canvas—further expands the constraints of the medium. Apparitions of paintings are still visible in most of his work, but instead of brush strokes, small glitches within the fabric are noticeable—a result of Wadden’s attempt to use as much recycled material as possible. But for the artist, the development overrides the aesthetic. 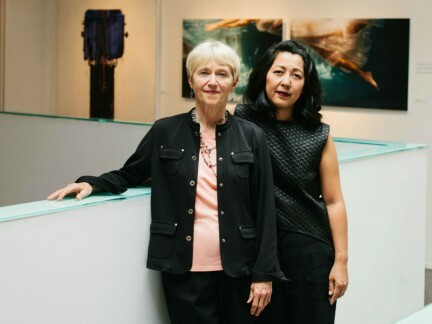 “There hasn’t been any time where I decided not to show a work. Because I’m kind of neutral about it. It’s more about the process,” he says. 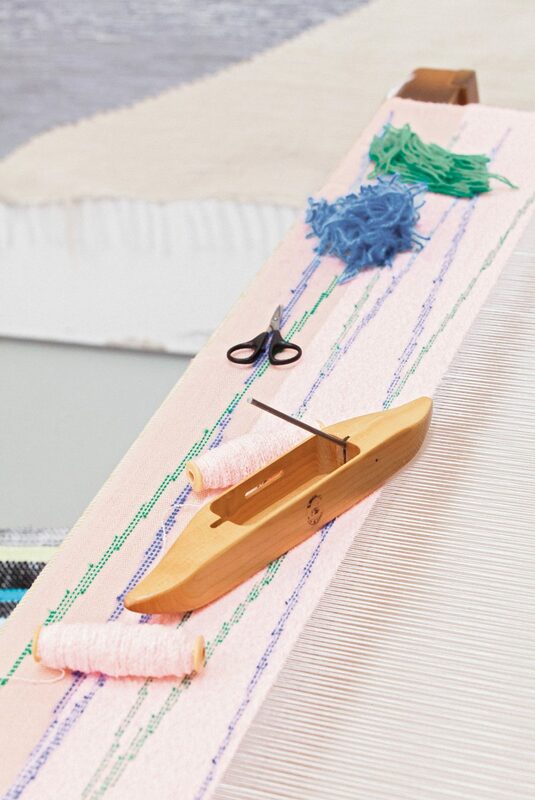 “Compositionally, the mistakes in the weaving are important. They’re part of it.” Working on his weavings nearly every day, Wadden has undoubtedly improved his skills, but those new techniques don’t necessarily make it to the loom. Instead, Wadden reduces his form to more simplistic methodologies. 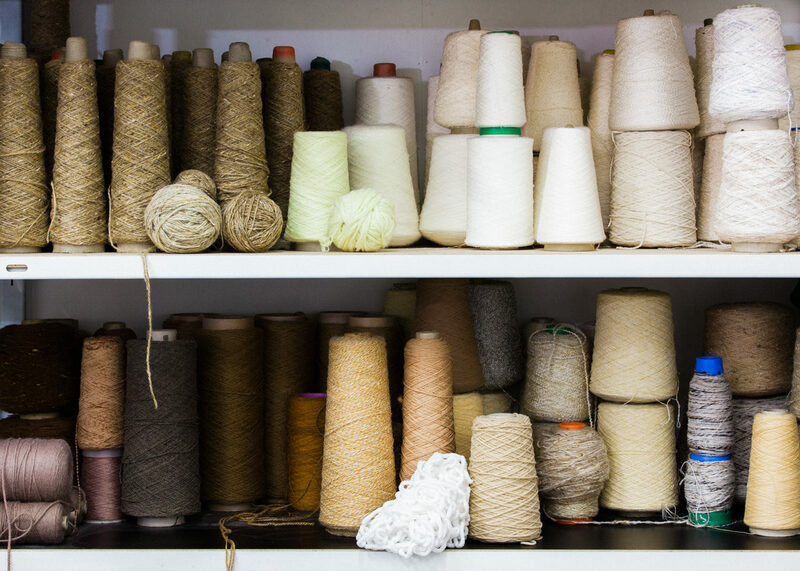 “It was never my intention to become a skilled weaver, but the more I work with the medium, the more curious I become with how it all works,” he admits. 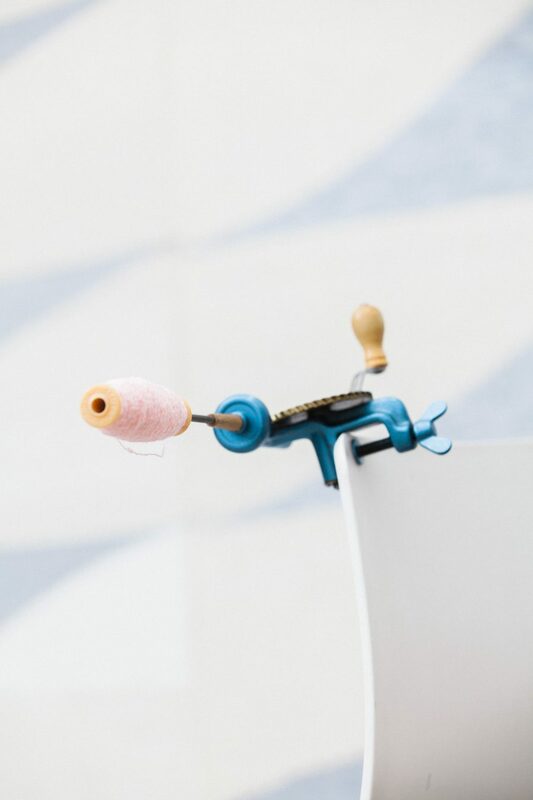 “It’s cool to understand the various ways you can work and then step back again to the simplest methods.” If he runs out of a certain kind colour of yarn, Wadden will simply pull out another spool. He opens up a two-panel piece to display a spread across the floor, its yellow accents off-kilter. The hand-stitched panels are about a half-centimeter off, but these inconsistencies never disrupt the harmony of the whole. 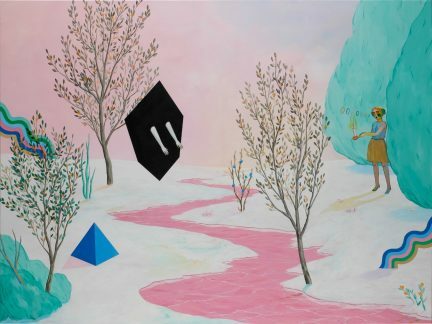 There is an instinct to attribute Wadden’s work to one medium or another. The two methods are so disparate in materiality and application that there are few similarities to be found at face value. 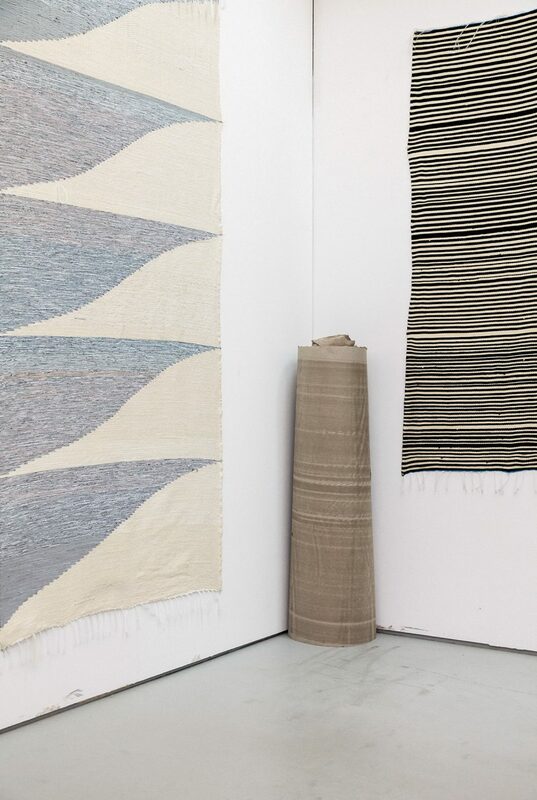 Yet Wadden’s textiles buzz and reverberate as the soft waves of weaving connect the graphic elements. 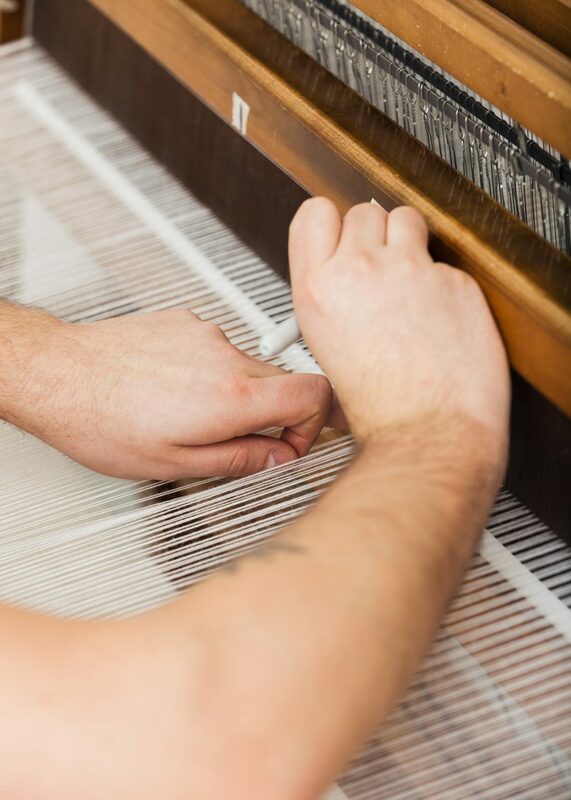 The disconnected components spread further apart when stretched between the frames, and yet, each woven line can be followed through the spool like an elongated brush. Up close, the painted threads are exposed. More from our Arts section.